The glamour of Hollywood will make its way to Montgomery County for the 21st Annual American Heart Association''s Montgomery County Heart Ball, chaired by Tracy and Richard Wilken. 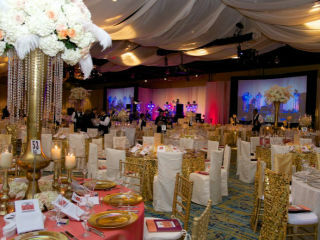 Themed Hollywood: Yesterday, Today and Tomorrow, the $1.2 million fundraising ball and gala hopes to raise a record-breaking amount of lifesaving funds for the AHA's mission to combat heart disease. The event will feature both live and silent auctions, live music played throughout the evening by Radio Live!, a vintage car collection, and more surprises. The annual black-tie event is one of the premier AHA events both locally and nationally. This year's Heart Ball will have a major focus on CPR initiatives and achievements over the past 100 years, including lifesaving technologies the AHA has helped fund in our local hospital systems. In Montgomery County, the bystander CPR rate is only 14 percent, while the national average is 42 percent. In the last 21 years, the Heart Ball has raised more than $4.5 million for the AHA's critical mission. $300 for individuals and $1,000 for couples with remaining tables starting at $3,000.